Is the heat getting you down? Though we can’t physically cool you down, we can offer a distraction. Why not pop over to the Helping Haven Gateway for a round of Greedy Dice, a stroll along the beach, a romp through the forest, or you know – do as Team All Spiffed Up does – raid their freebie cache! This colorful mini is just one of the fun finds. Nice detailing and an included alpha for classic avatars. Not a bad freebie, not bad at all! Since we managed to hijack Lady Mystic along with her lovely lips for another post, we simply had to feature more lipstick from Livia. 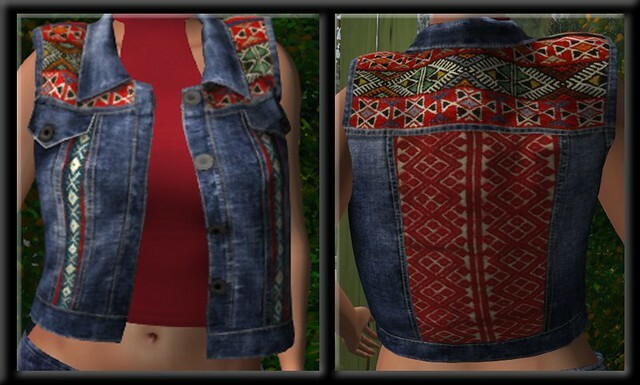 Just Reds is this month’s group gift at Livia. This lipstick set is simply awesome. Thanks Livia for another great gift! There is no need to say no to these quality sandals. 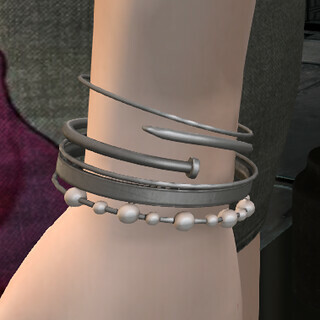 The detailing is fab, they are sized for Maitreya, Slink, and Belleza feet, are black, and best of all they’re free. So pop over to Pure Poison to complete today’s look. Helping Haven Gateway – Great gateway sim run by dedicated volunteers committed to helping new residents.